Add garment storage to any wall with a shelf rack. 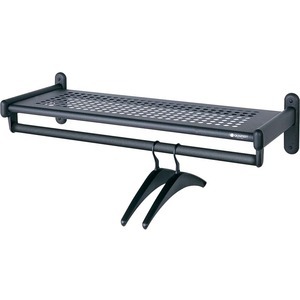 Garment rack secures to any wall to keep garments separate and neatly organized. A perforated shelf above the rack adds more storage. Shelf rack is made of steel. Hangers are sold separately.